RPRT has entered into an agreement with NFL and NBA certified sports agency, Exclusive Sports Group, to partner on kicking sensation Wihan van der Riet. Wihan, from South Africa, will be coming to the States in March to attend Michael Husted’s kicking camp and to attempt to get drafted by an NFL team. RPRT and ESG have already garnered interest from several franchises interested to see what the small town rugby player nick named “Rocket Foot” can do. Wihan has YouTube videos of himself kicking field goals over 70 yards and has been training for this his whole life. RPRT first saw Wihan from a random email from the kicker and could not believe his ability to kick a ball so far with such accuracy. Wihan will be managed by Matt Meyerson from RPRT and his agent will be Matthew Pope from Exclusive who will share duties. Ben Nordberg was recently picked by American Rag, a Macy’s brand, to shoot Ben Nordberg for their summer collections. Shot by esteemed photographer Ben Watts, Ben will be featured in RaggedMag.com and Macy’s online branding for the campaign. Ben will also be the subject of an online web series for the brand on YouTube which will debut in March. Ben has also recently shot for Burberry and is appearing all over the world in the new DKNY campaign which were booked by his modeling agent. Jeb Corliss will continue his speaking engagements with a stop at UCLA on March 2nd. The UCLA Campus Commission of Events has asked Jeb to speak to the student body about his experiences. Jeb will be speaking at Kerckhoff Hall on March 2nd. Time has yet to be determined. Fellow Bruins come out and hear Jeb speak on campus! Tia Blanco has been tapped to be part of the new Radinn Technologies campaign. 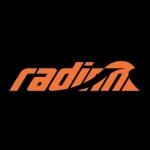 Radinn are the makers of the worlds first electric powered wake/surf board that can go speeds in excess of 20 mph with zero emissions. Tia will be traveling to Virgin British Islands and Puerto Rico to shoot for the video which will be used in Radinn retail, online and for viral videos. For more information on Radinn you can go HERE. Keegan Palmer has done it again! 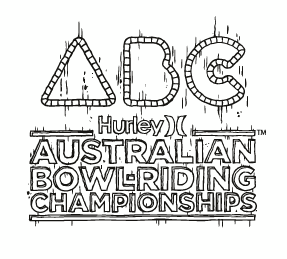 This last weekend Keegan competed in the Australian Bowl-riding Championships at Bar Beach Empire Skatepark in the 18 and under division. The best bowl riders in the world descended on Newcastle to compete. Keegan went head to head with kids up to 6 years older than he and he came out on top with the first place trophy. In front of a crowd of thousands, Keegan showed the bowl riding world that he is the future of the sport and will be skating next against the biggest names at the Australian Open of Surfing Bowl contest. You are currently browsing the rprt: talent management, pr/marketing, events and branding blog archives for February, 2015.